Another day, another kidnapping or so it appears. Arriving on scene, Julian Mercer and his team of former members of the SAS face off against an international tech company in a race to save a programmer’s wife. Unlike most startups, Trila International employs a platoon of former SpecOps guards and utilizes the best security Mercer and his team have ever encountered. Added to that is a growing distrust of their client, Logan Porter, who seems more concerned with appearances than rescuing his bride. Something’s off about the situation, but Mercer is determined to see this mission through until the end. 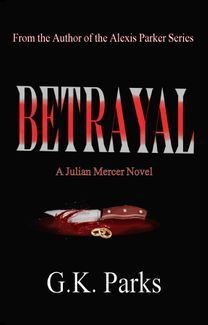 A phone call from the kidnapper leaves little room for negotiation, and Mercer knows they might fail. He’s on a clock, forced to find a way to obtain the ransom and deliver it before Sarina is killed. He’ll use any means necessary, including sacrificing himself and his team. This high-profile kidnapping case places Julian and his team in the midst of a potential international incident. The former SAS must tread lightly, but finesse isn't one of Mercer's strong suits, particularly when he’s the only one determined to save the damsel in distress. Bullets fly and lives are forever altered during this harrowing mission.